Ask kids who happen to be hooked on animes, mangas and cos-plays about pichi-pichi and they'll answer you that it's a manga series. 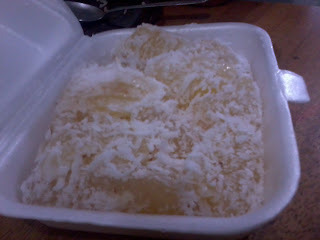 Actually, pichi-pichi is a wonderful tasting kakanin in the Philippines. Made from sticky glutinous powdered rice, sugar and grated coconut. Best eaten cold (for me) or paired with tea. My first recollection of pichi-pichi was a light green-hued one (dunno why they color it) from Amber's years and years ago. Instead of coconut, it was topped with cheese. And being young (that time, of course), I love the combination of the sweet pichi-pichi against the saltiness of the cheese. 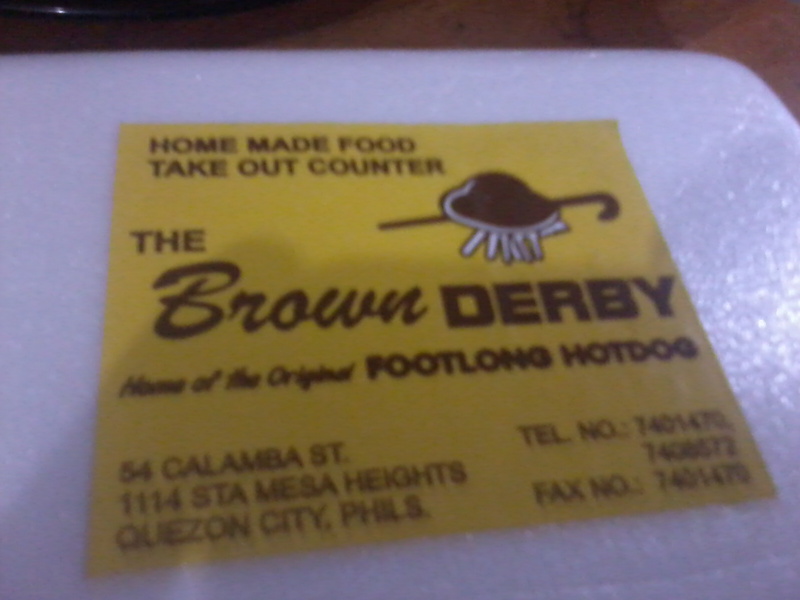 But now, my taste buds doesn't agree with the past anymore. I've become more discriminating and choosy if I'm the one buying the food or pichi-pichi for this matter. Luckily, I was with my foodie-mate today and was making a quick tour of Dapitan Arcade (not food-related but blog-worthy nonetheless) and I happen to remember Brown Derby. I got to taste its pichi-pichi last year during a school parents meeting and it did left a mark and wonderful yummy memories.